Italian Prime Premier Matteo Renzi met with International Olympic Committee (IOC) President Thomas Bach in Lausanne Thursday and backed Rome’s bid for the 2024 Summer Olympic Games. Rome’s bid for the 2004 Olympics resulted in a painful final ballot 66 to 41 loss to Athens and the 2020 bid was derailed when the Prime Minister refused to underwrite the costs just hours before the deadline. He continued “but now the government is here. We will give our all, nose to the ground and pedal right until 2017. Rome is a very strong candidacy. We respect everyone but don’t fear anyone”. He said, “everyone turned up their nose at the beginning but then they understood that an event like the Olympics is a great occasion. The plans are already ready. The government is working with CONI because sport is a piece of Italian culture and an investment in the future”. He added, “I don’t know if Rome is in front but it is definitely an extraordinary candidacy. If we win, it will be an extraordinary ride because Rome knows how to unite tradition and innovation”. Italian Olympic Committee president Giovanni Malago and bid chief Luca Cordero di Montezemolo were also present at the meeting in Lausanne. Bach lauded Rome’s campaign calling it “very strong” and in alignment with IOC Agenda 2020 reforms that call for better legacies and sustainability. Malago said, “it was an excellent meeting in an atmosphere of great enthusiasm. The work that’s been done and the great professionalism was appreciated. We are in harmony with the Agenda 2020 principles of sustainability and legacy”. An IPSOS poll found that three out of four Italians are in favour of Rome’s bid, out of the 2,200 people surveyed. On a national scale 77 per cent support the bid, while it goes down to 66 per cent of the 800 surveyed who live in Rome. Meanwhile the left-wing radical party in Italy has mounted opposition to the bid and have organized an online petition calling for a referendum over the plans. 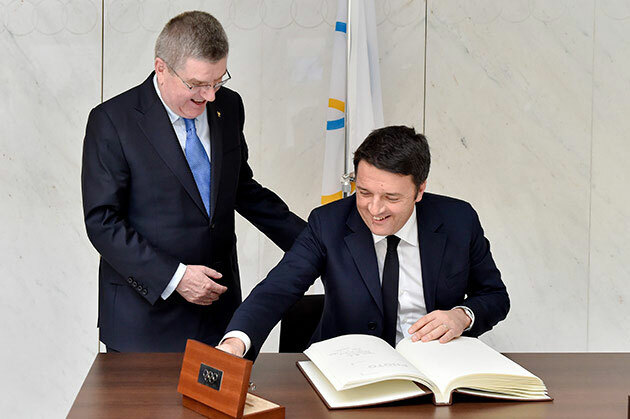 The discussion with Renzi is the third such meeting between Bach and leaders of nations bidding for the 2024 Games. Viktor Orbán, Prime Minister of Hungary, and François Hollande, President of France have already visited Lausanne since the 2024 campaign began. There are currently no plans for U.S. President Barack Obama or a member from his government to visit Lausanne on behalf of Los Angeles. Obama famously led Chicago’s 2016 Olympic bid final presentation in Copenhagen, Denmark before the U.S. contender was knocked out of contention on the first ballot. 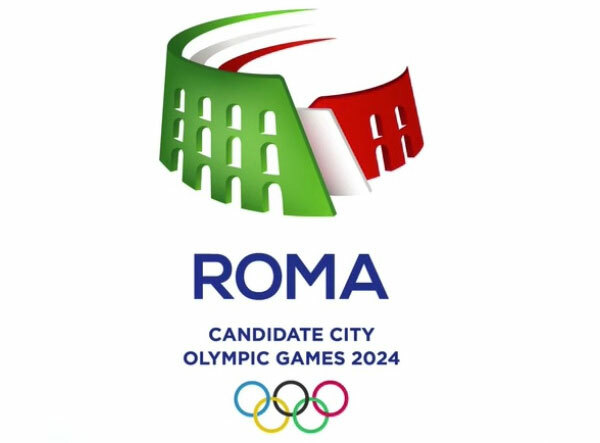 Rome is competing with Los Angeles, Paris and Budapest to host the 2024 Games with a decision set to be made by the IOC in September 2017. Bid cities are expected to submit the first phase of their bid books by February 17.